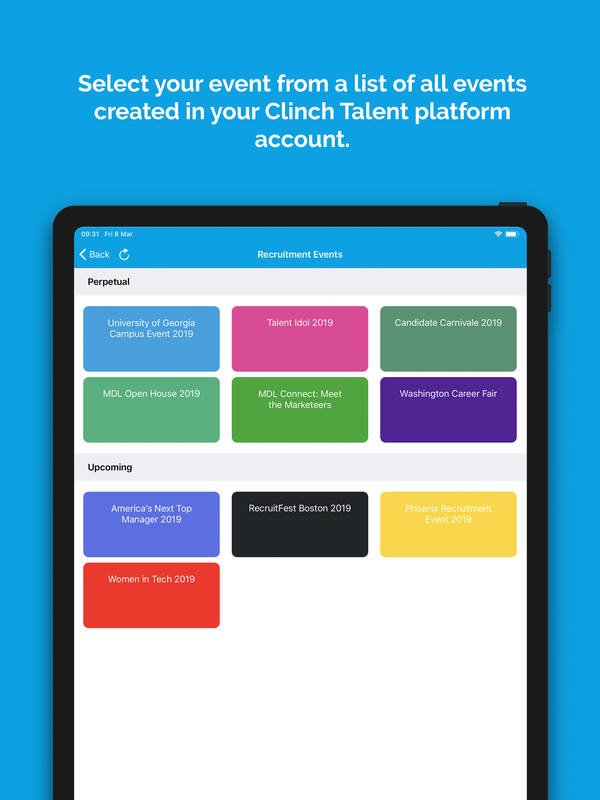 Once the ClinchTalent Capture App has been downloaded and your device registered, all events created using the dedicated Events feature in your Clinch Talent platform account will be available to you on your iPad. For the best experience, choose and lock your device in Portrait Orientation. 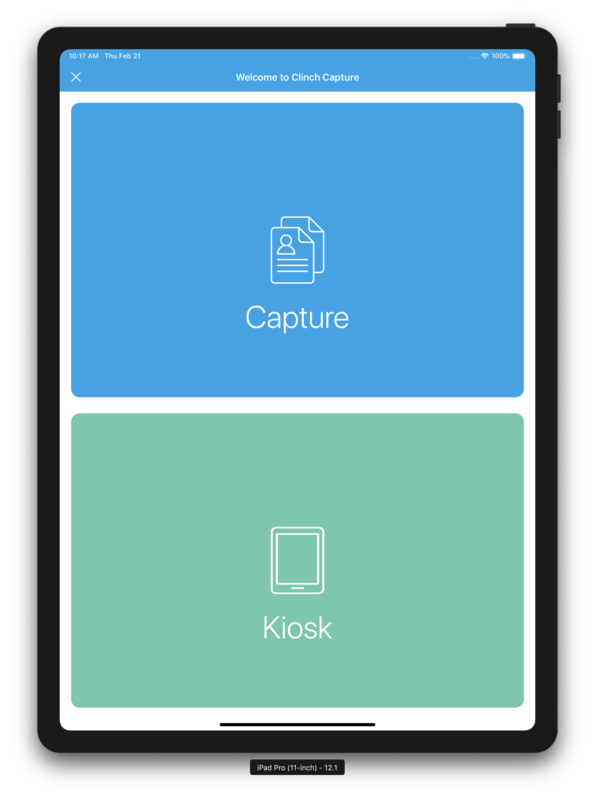 Open the app and choose 'Kiosk' to get started. Choose your event from those presented on the home screen. Note the unlock code (below.) 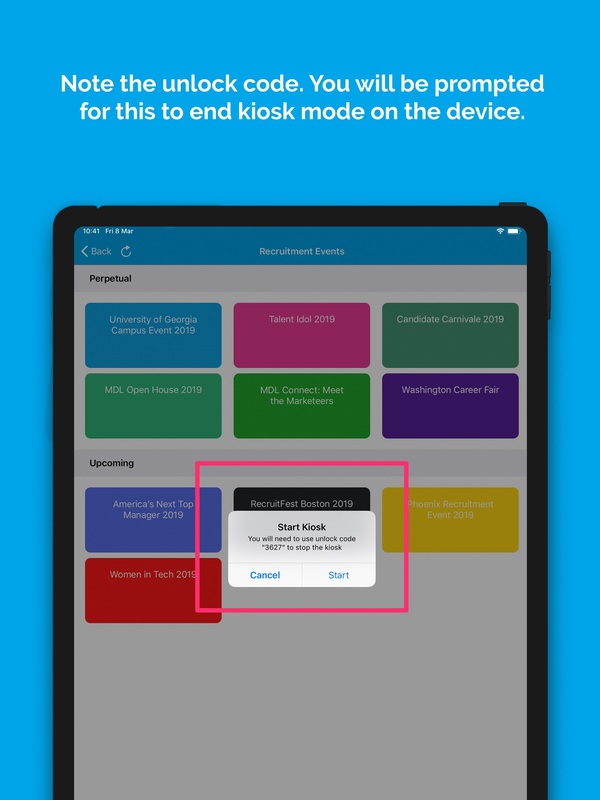 You will need this to end kiosk mode on your device. N.B. The code can also be found in your Clinch Talent platform account by going to Events in the left menu and clicking the edit icon alongside the appropriate event. 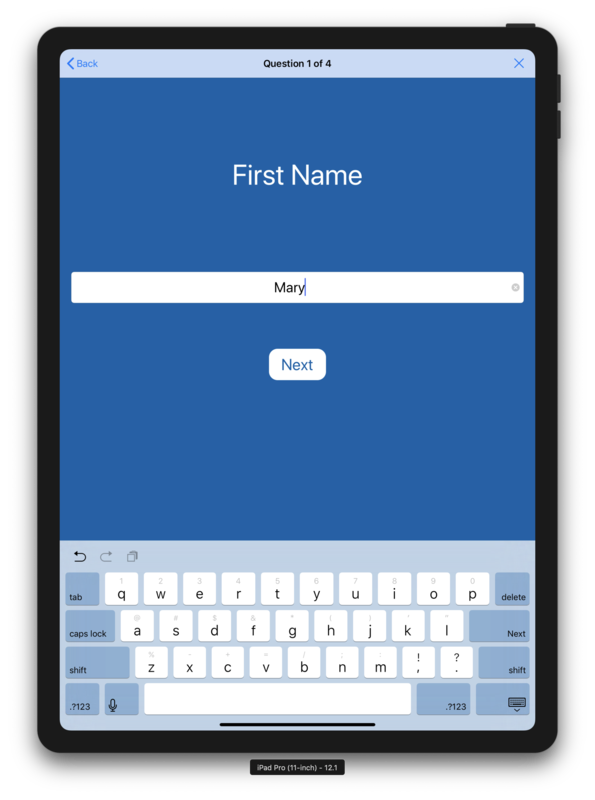 Tap Start to load the event call-to-action and activate candidate data capture. Invite event attendees / candidates to enter their information. The clean, on-brand UI has been designed with ease-of-use in mind, hence the single-field per screen format. Please note that candidate submissions are encrypted at the device to ensure that all data captured is secure. When a candidate taps FINISH, they will be returned to the start screen and the form cleared to allow the next candidate to proceed. Once all candidates have been added or your event day has come to a close, shake the iPad to end 'public mode.' When prompted, enter your unlock code. 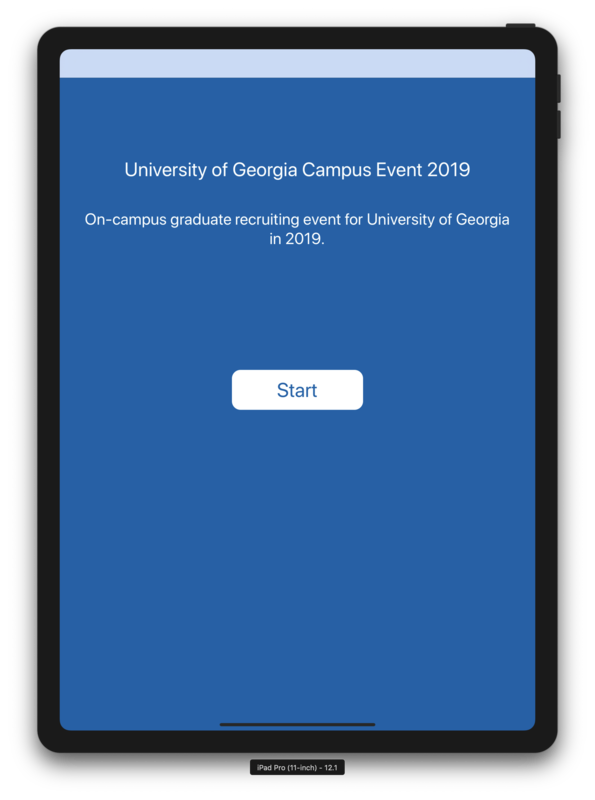 You will be redirected to the home screen that lists your recruitment events. 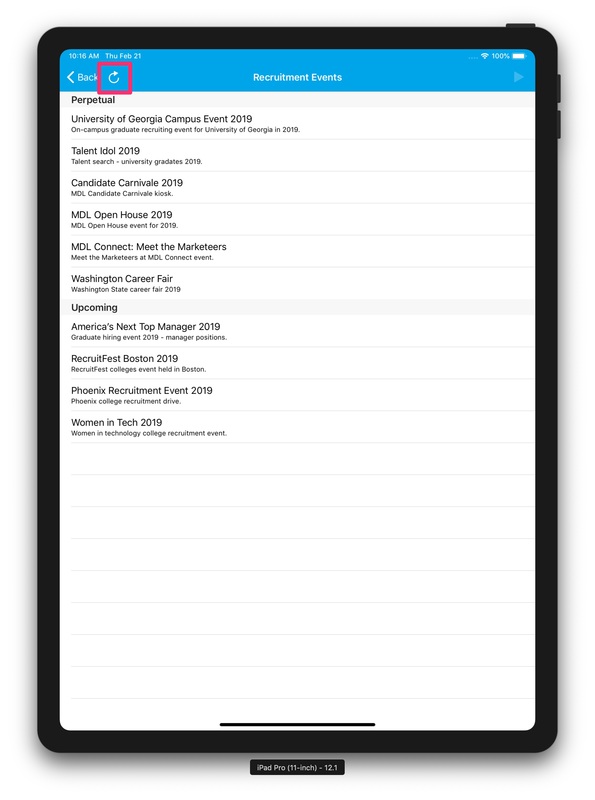 To the right of the event listing, you should see the number of candidates processed using the app. Tap the Upload icon (highlighted below) to import these candidates to your ClinchTalent platform account and CRM.